In the beginning, the dolls house was created as replicas for estates to teach future ladies of gentry how to manage their homes with child’s play. 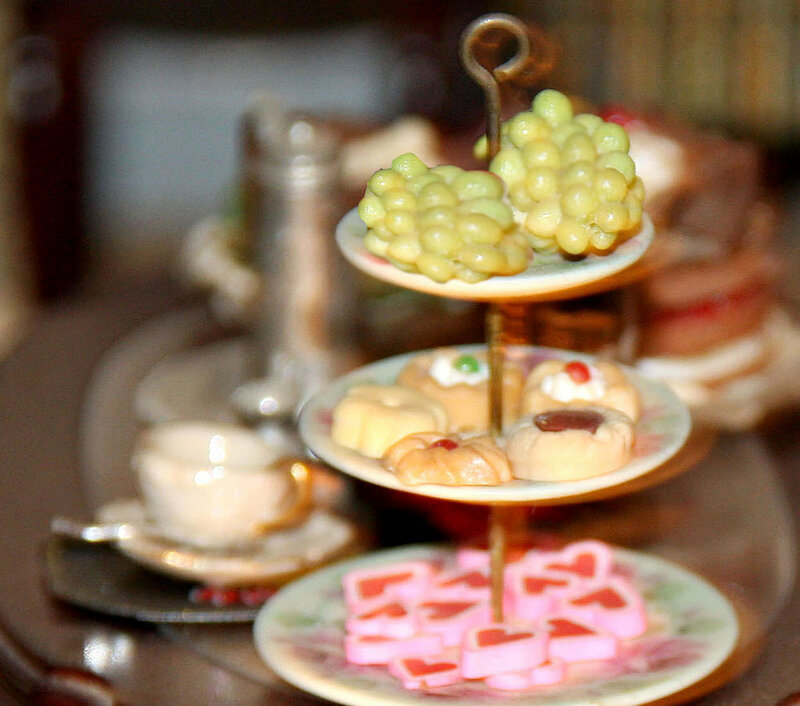 History has changed all that and collecting miniatures, and dolls houses are now a favorite hobby. My tiny future home came from a miniature store in Toluca Lake. It took only a second to fall in love with this world of small things; I could not stop thinking about the farmhouse sitting near the window so without any knowledge of what I was getting into I purchased it. The shop owner was nasty and mean; she was the very essence of what I hope to be when I’m that old. She complained about everything, and I found I could not get enough of her and her tiny shop of pleasures; I spent so much time there learning everything I could about lighting, wallpaper, flooring and collecting that I thought I might need to go to dollhouse anonymous. Last week my miniature dolls house had an electrical meltdown, I thought about Sylvia as I pulled out all of the furnishings to find the missing electrical link. I have to admit I had unequivocally no idea how to discover my lost connection but finally, with a little attachment Sylvia had forced me to buy I found the lost link without ripping out any of the wallpaper, now I know why she said to buy it. Sylvia and her shop played with my memory while putting all my cherished pieces back where they belong. The porcelain teacup, the kitchen wallpaper, a pool table that was way too expensive but I purchased it anyway. Sylvia in a way created the farmhouse that sits on a table in the middle of my house. She taught me never to underestimate a cantankerous old woman filled with love for the world of miniatures. She retired her fabulous store years ago, but her memory remains. There are a few stores where one can get lost in the tiny things, Small Wonders in Ventura, California is a delightful find. Miniature dolls houses can create history; mine is sitting on a hillside overlooking the sea. Looking for a little history, check out The Thorne Rooms.